There is no way of denying that this phone is tough and as the name implies, it’s a bit of a beast. 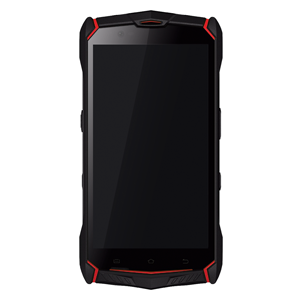 The only rugged mobile phone with IP69. It’s design not only protects it from drops, but also, scratches, high pressure, vibrations, explosions, corrosions, impact and extreme temperatures! It has has a 6150mAh battery, that is nearly treble the power of most smartphones and we think it’s the largest battery in any smartphone in the world. On top of this it also supports fast charging and wireless charging! A rear camera is a 16MP Samsung module and supports Portrait, Pro Mode Pro, Panorama, HDR, HQ, Dynamic Denoise , Clear Image, RAW Image. The front facing camera is also an impressive 8MP with HDR, Screen Flash, Smile Capture, Face Beauty. Image details are vibrantly displayed with superb brightness levels. The memory is a massive 4gb/64gb as standard which can also add a 128gb SD card. And another world first is an Infa Red blaster! This allows you to connect the BEAST and use it as your remote control for your TV, DVD, Smartbox, Air Con, the list goes on. Uventure Run & ToughPhone – Stronger Together! Is your phone GMS certified?